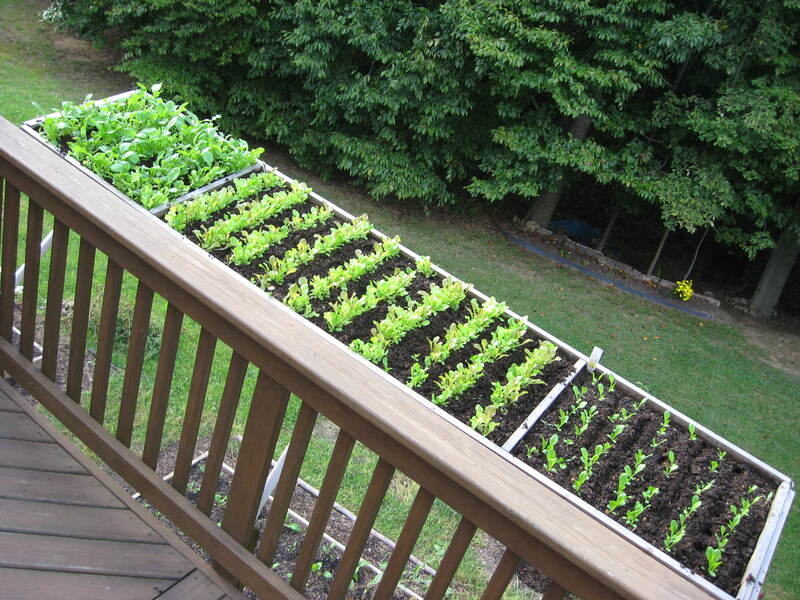 Yes, you can grow veggies in small places, on patios, on terraces, even on balconies in containers. There are multiple reasons to do so, but I see it as a convenience. One can place a container almost anywhere, and assuming there’s enough light, almost any veggie can be grown in it. 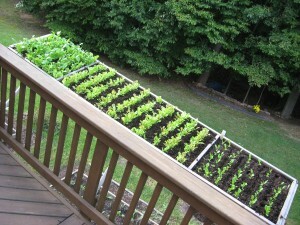 The only negative about container veggies is that they will require more frequent watering than in-ground vegetables. 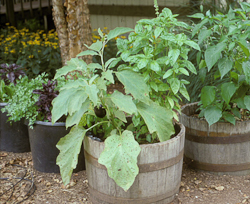 There are some fairly specific “rules” to follow when growing vegetables in containers. The container, whether it is plastic, wood, or terra-cotta, must have good drainage. 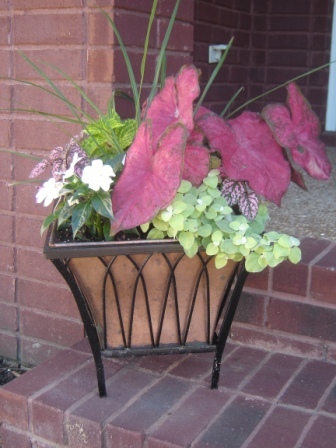 If purchased pots are being used, try to get ones with drainage holes around the sides rather than in the middle. If you create containers from 5 gallon buckets, drill the holes on the side of the bucket rather than in the bottom. Vegetable roots will drown in standing water. Growing medium for your vegetables can be a packaged ready-made, soilless mix, a packaged potting soil, or your own mixture of equal amounts of peat moss, soil, vermiculite (or perlite) and manure. Whichever one you choose, fertilizer will be needed throughout the growing season. Slow-release fertilizer should be added as you prepare the mix. Through the growing season, water-soluble fertilizer may be the easiest way to provide the nutrients your veggies need to produce fruit. Sow seeds in your container as you would into the ground. Transplants are done the same way. Tall vegetables and vining ones are going to need stakes or trellises. Growing vegetables in a large enough container is important. Roots need space. 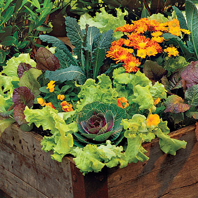 Five gallon buckets or equivalent size containers are ideal for larger veggies. Most important, container vegetables must not be allowed to dry out. Consistent moisture is the key to success. Let your finger be the judge of moisture. During warm and windy days, watering twice may be necessary. If containers are allowed to dry out completely, feeder roots are damaged and fruit production is minimized. Using mulch on top of your container will aid in moisture retention; soilless mixes dry out faster than soil mixes. Moisture beads can be added to the mix before planting. Soil dries out faster in terra-cotta pots. 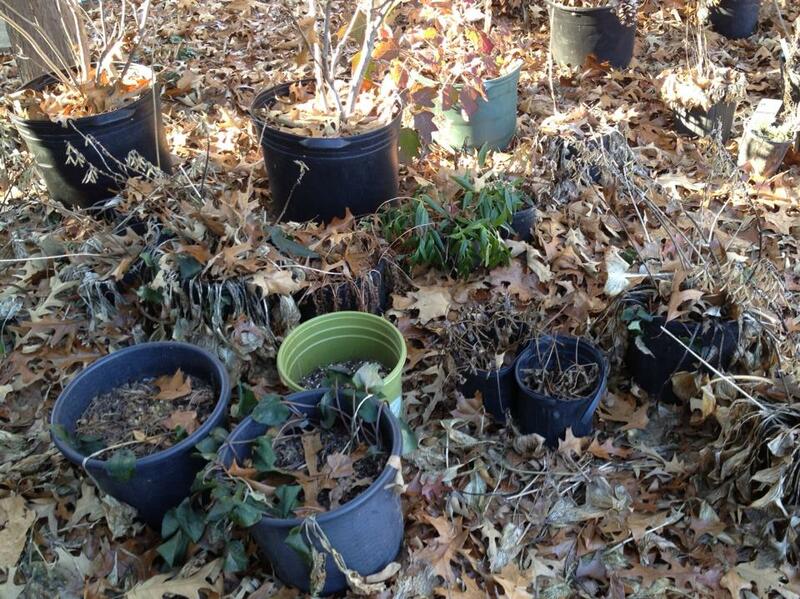 After production has ceased, plant material and growing medium should be disposed of to prevent spread of disease. Containers should be disinfected with a 10% chlorine bleach solution before using for your next crop.